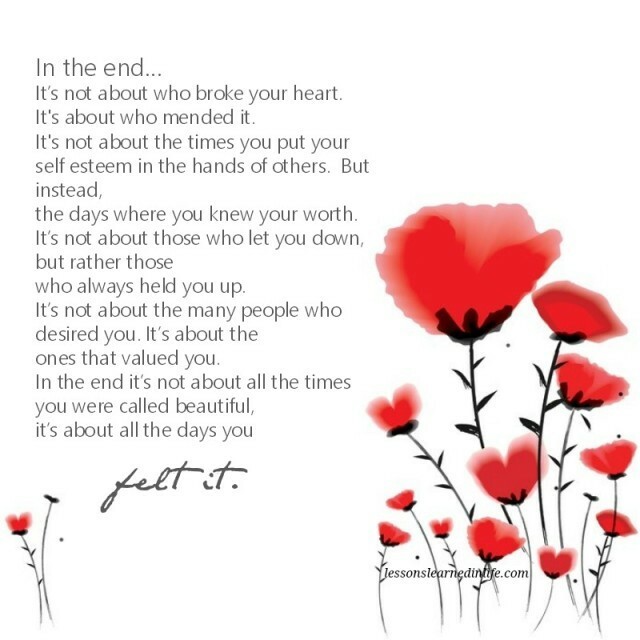 In the end…It’s not about who broke your heart. 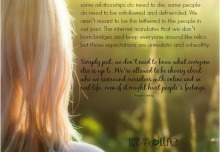 It’s about who mended it. 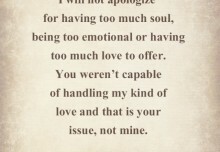 It’s not about the times you put your self esteem in the hands of others. But instead, the days where you knew your worth. It’s not about those who let you down, but rather those who always held you up. It’s not about the many people who desired you. It’s about the ones that valued you. In the end it’s not about all the times you were called beautiful, it’s about all the days you felt it. 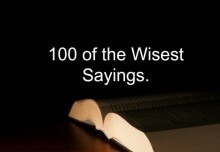 100 of the Wisest Sayings.